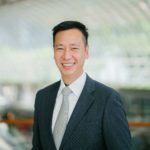 Lawyer Edmund Lam previously wrote a three-part series on white-collar crime with illustration of actual cases that happened in Singapore. You can read the articles here. In this article, he shares more about multi-jurisdictional jeopardy & resolution and deferred prosecution agreements. In recent times, authorities are stepping up on multi-jurisdictional enforcement cooperation to curb illegal cross-border activities. It was reported that Keppel Offshore & Marine (“KOM”) had to pay US$422 million in penalties as part of a settlement (or “global resolution”) led by the Department of Justice of the United States of America and discussed with Brazil and Singapore” for making multiple corrupt payments of about US$55 million in aggregate to Brazilian officials over a period of 13 years. As we can see, things do go wrong despite best efforts. KOM has, for the longest time, an official “zero-tolerance stance against any form of illegal activity” but no less than its senior in-house counsel of 27 years was involved in this escapade. When that happens, it is all too easy to talk about containment measures without really knowing how to go about designing and implementing them in your organisation. KOM’s initiation of recovery and resolution measures went in its favour, at the very least in terms of achieving certainty of outcome. Singapore is currently proposing to introduce a Deferred Prosecution Agreement (“DPA”) framework which will open an additional option to corporates in containing the fallout stemming from the misconduct of its management and employees. DPA is a legal tool where an errant corporation, that agrees to pay a financial penalty and abide by conditions, is allowed to have a criminal charge deferred subject to the approval of the High Court. When granting such approval, the High Court will assess whether the agreement terms are fair, reasonable and proportionate and whether it is in the interest of justice. This will inject corporate reform and rehabilitation into the equation of addressing white-collar crimes and improve corporate culture in respect of compliance and detection. This also tackles the inadequacies of criminal law flowing from the legal fiction of corporations that limits, by its very nature, the sentences that can be meted out on corporations as corporations cannot be sentenced to imprisonment, probation or community work orders, all of which have elements of rehabilitation and reform. However, the trade-off for having a criminal charge deferred would be that corporates could possibly pay a much higher penalty compared to the fines prescribed by the law (which can be a relatively painless slap on the wrists for large corporations), thus preserving the role of deterrence (and possibly retribution) in the overall scheme. The KOM saga illustrates the distinction between corporate criminal liability and individual’s personal criminal liability. A company may be made accountable for the actions of its senior management and employees in addition to these individuals being made personally answerable for their own conduct. This article is accurate as of 6 Feb 2018. There have been developments to the Deferred Prosecution Agreements since. Stay tuned and we will update the article once the developments are finalised! This article is written by Edmund Lam from LHM Law Corporation and edited by Sharon Tan from Asia Law Network.